●The JH60 standing jig head is extremely suitable for using with the crawfish or small fish soft bait. 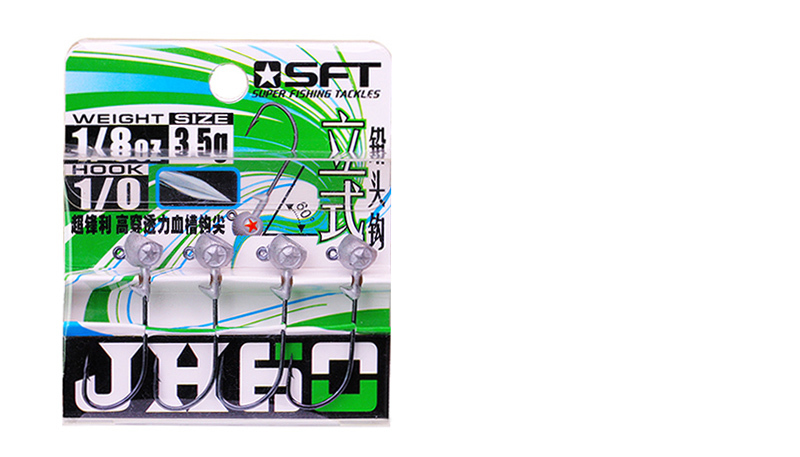 Its biggest feature is that when used together with the same types of soft bait, after falling into the water and with its unique shape design and the principle of fluid mechanics, it can present a tilt sinking posture. Especially in the process of bottom knocking and jumping, it can maintain a standing posture by 60 degrees at the bottom. The tilt standing can perfectly imitate the crawfish’s self-defense manner upon attacking in the nature so as to stimulate the target fish to attack. And when used with the small fish soft bait, the inclined angle can fully imitate small fish heading into the mud or finding food at the bottom of the water and thus it can greatly increase hitting probabilities. ●Fresh Water Target Fish: Bass,etc. ●Salt Water Target Fish:Sea Bass,etc. No.1, Houshan, Xindian Town, Jin'an District，Fuzhou，Fujian，China.